A popular online casino named Northern Bear Casino has shut down its operations citing financial reasons. It was launched just two years ago, but gained prominence as it was the first online gaming operator by a First Nations company in Canada. This online casino was started by Bernie Shepherd in 2012. It was not the first gambling initiative by Shepherd. He started a casino in 1993, which was the first casino in the area and was constructed on tribal land. This was shut down by the authorities soon after as it was started without seeking proper permissions. But he has been relentless about making strides in the gaming industry but his digital foray also failed to be a success. However his efforts to start gaming businesses, the first by anyone belonging to the First Nations people has been commended by some people in the community. However, license of Northern Bear is also under the scanner. As per Shepherd he had obtained licensing from Quebec under the First Nations provisions. But this is not valid to start gaming operations in Canada. 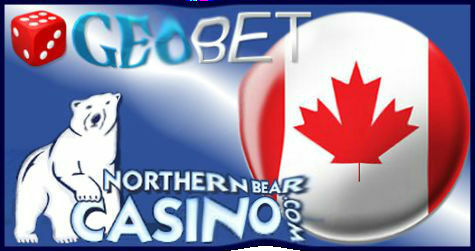 Northern Bear used Geobet as its operating software and had its servers located in the Virgin Islands. But as per Shepherd himself the online gaming industry is very challenging industry and difficult to make profits. Though he was looking for external funding to avoid closing of the casino, nothing materialized on that front and the casino had to shut shop. Though there have been murmurs that Shepherd didn’t have the funds for the winnings and the wagers and this has been the reason for which the Northern Bear has been shut down. The online gambling scene in Canada has never really taken off. This could be the reason for Northern Bear’s poor performance. Even those gambling sites that are owned by the state haven’t done well financially and are struggling to make profits. Authorities however have been saying that online casinos are easy to run as operating costs of running them is not high. There are some exceptions like playnow, who have done better in the recent times. British Columbia Lottery Corporation, which runs playnow as well as operates many of the region’s gaming sites hasn’t done well with other companies.